At Cornerstone Dental, we treat your family as if they were our own. Our experienced dentists and friendly staff are here to provide routine care and treatments for all members of the family – both young and old. We are committed to helping patients of all ages achieve healthy, beautiful teeth for the long-term. Since many of the same dental issues can occur during childhood and adulthood, treatments are often fairly similar for both stages of life. 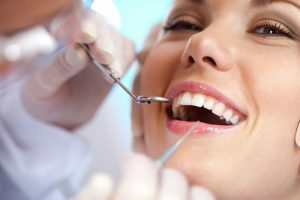 Patients are typically recommended to return for routine dental exams every six months to ensure they are maintaining healthy teeth and no concerns are developing. For children, specifically, our team spends extra time to teach them about good oral hygiene. Common dental care for these younger patients include cleanings, fluoride treatments, sealants, tooth-colored fillings, and orthodontics. As part of our focus on family dental care, our dentists strive to help children and adolescents feel comfortable and relaxed at each visit through gentle oral care. Our goal is to make going to the dentist a positive experience so our young patients are excited to take care of their teeth and see us at their next visit.